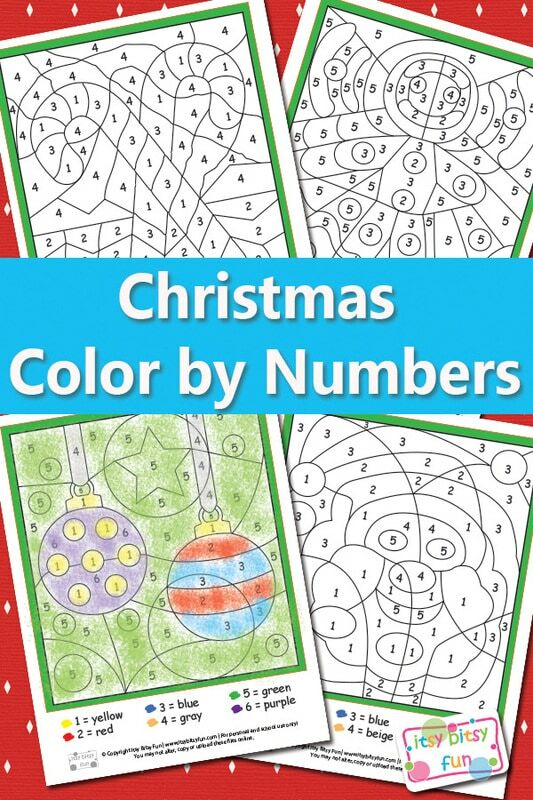 Let’s learn the numbers and have some creepy fun while at it with Christmas color by numbers! I’ve got plenty of other Christmas Worksheets For Kids just waiting for you to print them too! These are not only fun but will also help the little ones practice their numbers. 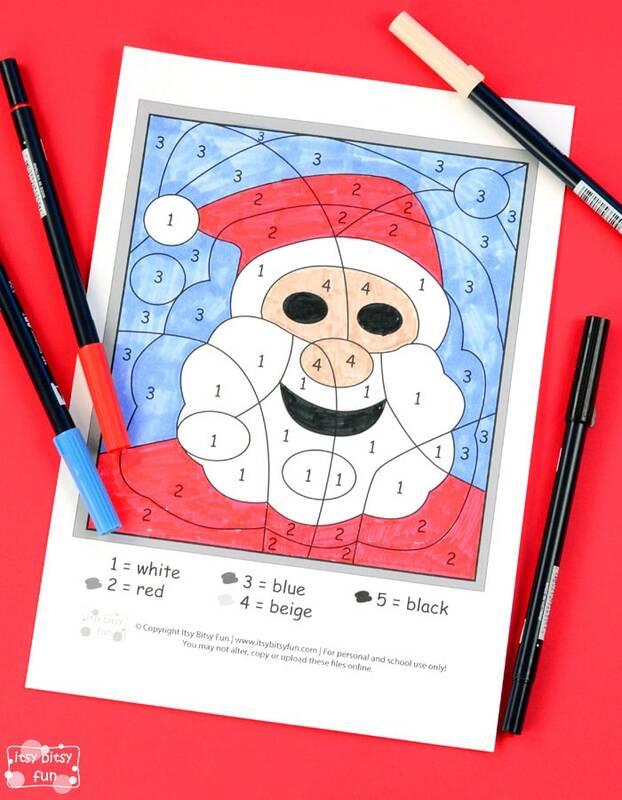 As we’re getting closer to what has to be the most anticipated holiday of the year – well at least if you ask the kids it’s time to make a printable or two that will keep the kids busy while they wait for Santa. 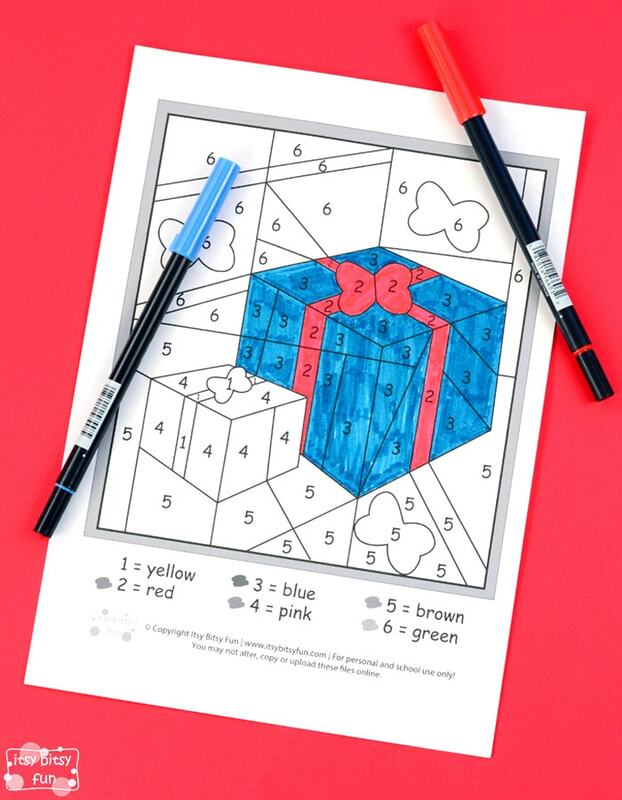 I’ve created 5 different and fairly easy pages to color with numbers up to 6 so they are perfect for preschoolers, kindergarten kids and 1st graders (but older kids can enjoy these too). 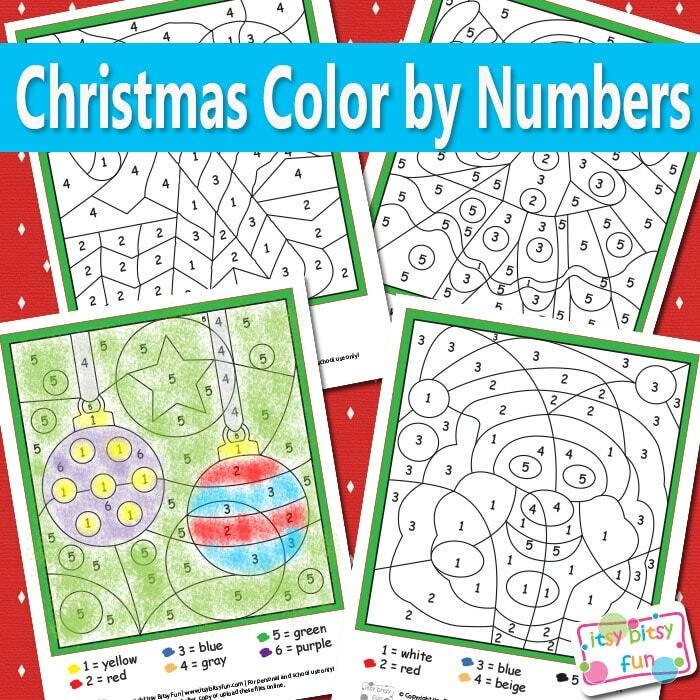 These are great for working on their first numbers and to just have some relaxing coloring fun. 1 page with Christmas decorations. 1 page with a two candy canes. 1 page with a gingerbread man. 1 page with a Santa. 1 page with two gifts. Get these free printable Christmas Color By Numbers here. Ready to have some fun while pretend playing as Santa, reindeer or elves? Grab these free printable Christmas masks and have some fun. When your kids are done playing and need to take a break why not give them these fun coloring pages?